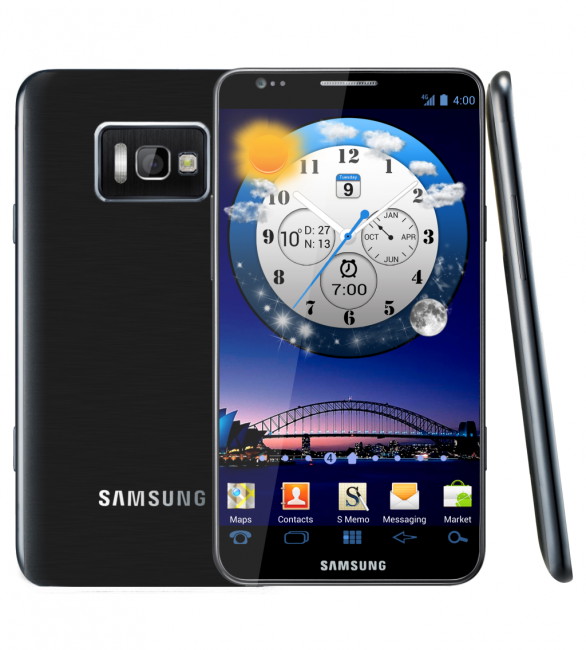 As much as some sites would have you believe, this is not actually the Samsung Galaxy SIII. You will probably see it all over the interwebs this weekend with “ZOMG! SGSIII images leak!” tags, but trust us, this is not it. It certainly looks pretty, and it should, since it’s just a render that a reader created at some Russian concept phone site. The real SGSIII will more than likely be unveiled at Mobile World Congress next February. Back when the Galaxy Nexus was still mostly a rumor, we saw a 4Chan person spit out some potential SGSIII specs that a Samsung rep had reportedly provided in a presentation, but you should have stopped reading when I said “4Chan.” Although, he was right on the G-Nex.